Now integrated with HomeKit, Logitech’s POP button offers simple (but expensive) command over other devices. Logitech’s Pop Smart Button is designed to counter one of the biggest drawbacks of smart home technology: So many devices are tied to an app on your smart phone. That’s not a problem if you’re glued to your handset and you live alone, but what’s a family of five to do if they want to dim the smart lights and dad’s phone is upstairs? Suddenly the smart home seems like more work than it’s worth. The POP Smart Button system ties a physical button to other devices in the house, so you can control them with one of three types of button presses. A quick press can do one thing. A long press another. A double tap can perform a third action. These actions can be tied to the same device or different ones altogether—and each press can send multiple commands, so you can turn on the TV and dim the lights with just a single tap. You can also link the button to IFTTT recipes. A single POP Button can perform three different actions. The POP kit comes with two pieces. A small bridge plugs into an electrical outlet, after which you never need to interact with it. The POP button itself is a slim, rubbery square about 2.4 inches on each side. This can be placed anywhere or mounted with the included double-sided tape—the only way to permanently attach it to anything. For some applications, leaving it mobile might be preferred. Additional POP switches can be added to the network without adding another bridge; there’s no limit to the number of buttons supported per bridge. Unfortunately I had trouble with the my first POP system. The button initially wouldn’t accept any command assignments, but after a few days I managed to get this working. Then the switch wouldn’t respond to button presses, simply doing nothing without reporting an error. At last I had a tech support call with Logitech, which was baffled by the behavior and decided to send me a new unit altogether. The good news: The replacement worked like a charm right out of the box. With the replacement unit, setup was quick and painless. HomeKit recognized the devices readily, and it was easy to assign actions to let the POP control other devices on the network. I mainly used the POP with the Nanoleaf Aurora, as the multiple button press options were handy for quickly switching through the lighting system’s various color schemes. 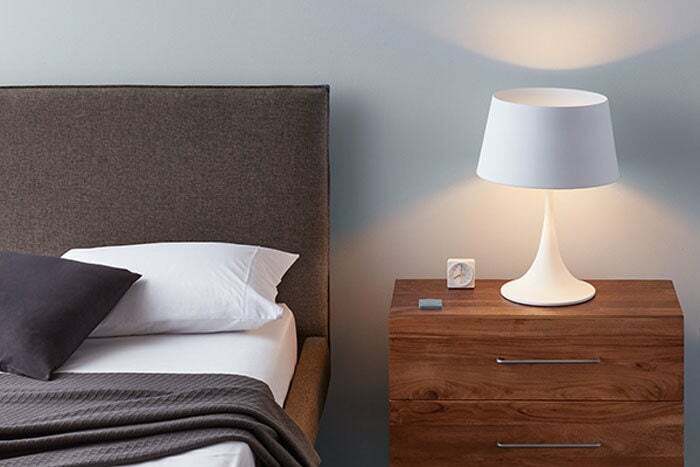 One caveat to remember: The POP switch doesn’t work exactly like a standard switch, so a single-press might turn a nearby smart light on, but a second single-press won’t turn the same light off. You’ll have to use one of the other two press options for powering down… or resort to using another method. POP Buttons can rest on a tabletop or be mounted to a wall using the provided double-sided tape. That’s not such a bad thing, really, because the POP switch isn’t a very cost-effective way to perform simple tasks like turning a single light on and off. A better strategy would be to use the device for setting more complex themes, like changing brightness and color temperatures on a number of light bulbs or switching a Sonos to a certain playlist, which would otherwise take more than a few seconds of digging around in an app. At about $80 for the bridge and two switches, you’ll want to think carefully about how to maximize the value of your three button-press recipes on each device. The POP button comes in four different colors, which could be handy at telling them apart if you don’t permanently mount them on a table or wall. If you choose one of the more garish options (anyone rushing for teal? ), it could also help to locate the button if the dog runs off with it. These handy but pricey buttons can extend your smart home’s features, and they’re now HomeKit compatible.